Tracy Staedter from Discovery News has with the help of Michigan State University doctoral student Randy Olson, an expert in algorithms, put together the ultimate road trip. 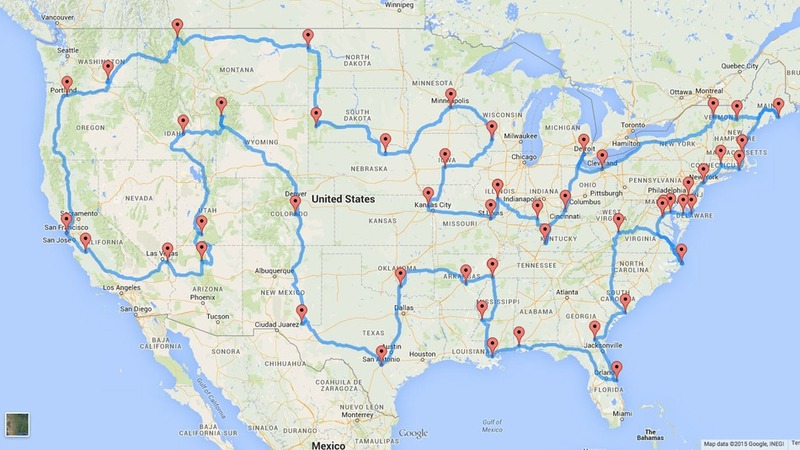 This road trip will take about three months to finish and will have taken you through all 48 states in the contiguous U.S. There will be 50 stops along the way with each stop being either a National Natural Landmark, National Historic Site, National Park, or National Monument. As an added bonus another map has also been created that is based on popular US cities.